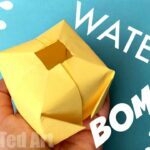 It has been a couple of weeks since I have shared an Easy Origami for Kids pattern (shock horror!!) and it is about time, you had another one – perfect for Christmas! 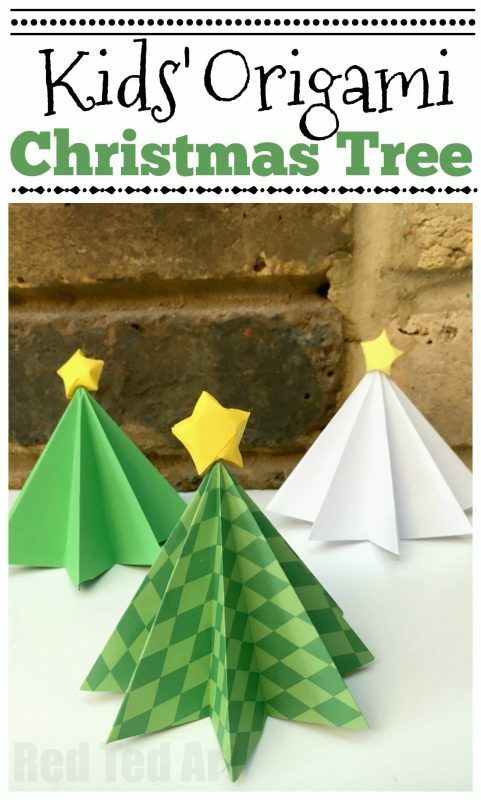 Today we have these Kids’ Origami Christmas Trees – a perfect Christmas Craft for Kids and a lovely addition to our Christmas Tree Craft Collection! We love paper crafts, as they are so accessible to all (most of us have SOME paper). 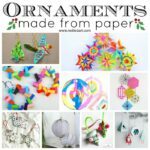 I love making these little paper Christmas trees out of white paper (snowy trees), green or patterned.. whatever you have to hand. 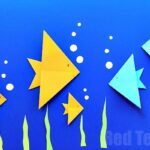 To make it extra cute, we added some classic origami paper stars on top. 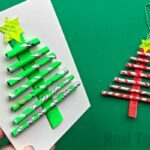 These look lovely as a little Christmas decoration, as part of a Winter Village scene or even as little DIY Christmas Ornaments! 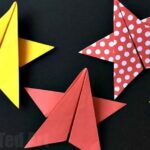 Find out how to make Origami Lucky Stars here! 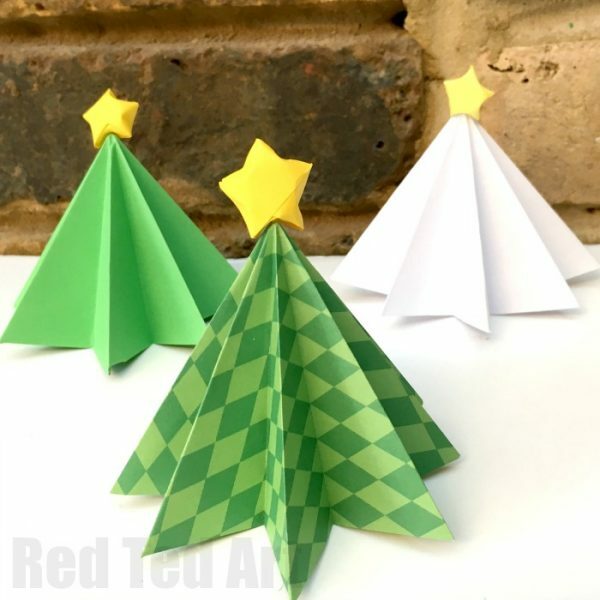 I love these little paper trees. They are a LITTLE bit tricky at first, but once you get the hang of the “pattern”, are super quick and easy to make. In no time you can have a whole set of these dotted around your mantle piece. 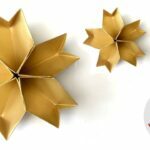 I love the idea of using a needle and thread to connect the Origami Lucky Stars with the tree – then pull the thread through the top of the star and keep it for hanging the Christmas tree too. 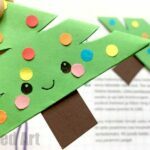 One little cute paper DIY, lots of different uses. Pip Squeak has already claimed this little tree to go in her dolls’ (nothing quite like homemade doll’s houses and decor, is there?!). I hope you love this little tree as much as we do!! 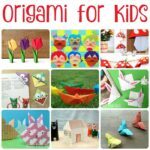 We have SO MANY MORE great Christmas Crafts for Kids for you to browse, as well as many many easy beginner Origami projects!! Enjoy!! 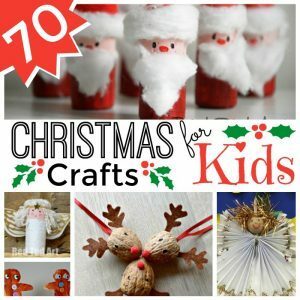 And have a very crafty and festive season!